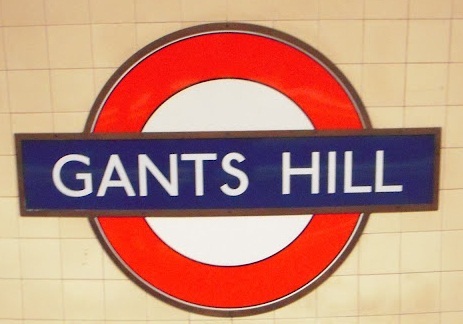 Gants Hill was recorded as Gantesgave in 1291 and the name may well be associated with the family of Richard le Gant. At the planning stage of the New Works Programme 1935/40, the station was referred to as ILFORD NORTH. CRANBROOK was sug¬gested as an alternative, as was GANTS HILL which was not liked by the New Works Committee. However, the station opened as GANTS HILL on 14 December 1947.